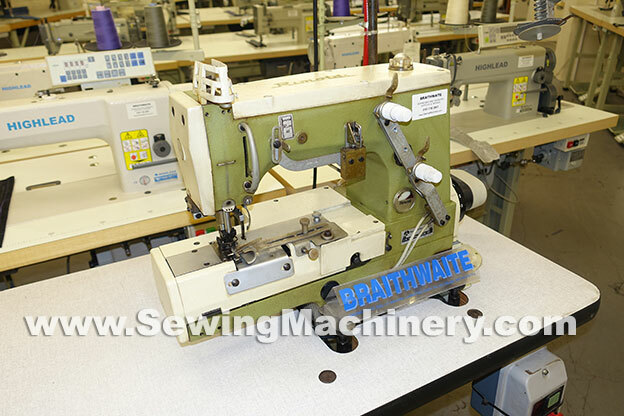 Rimoldi 174 knitwear mock linking single needle cylinder arm industrial sewing machine. 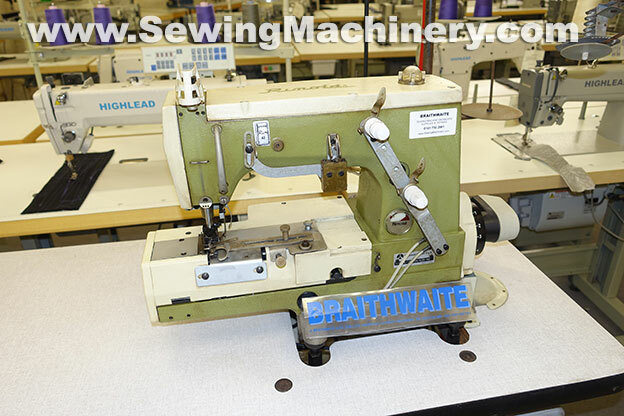 With automatic thread trimmer, tension release and auto foot lifter (air controlled). Complete with unit stand and German Efka electronic needle position motor and panel. Note compressed air supply is required for the auto devices. 3 phase 380-415 factory power for production use (optional standard 13amp plug 240V conversion add £290).